New UK drama Capital, in which a street of neighbours is unsettled by an anonymous postcard declaring “We want what you have,” will air on BBC First in March. 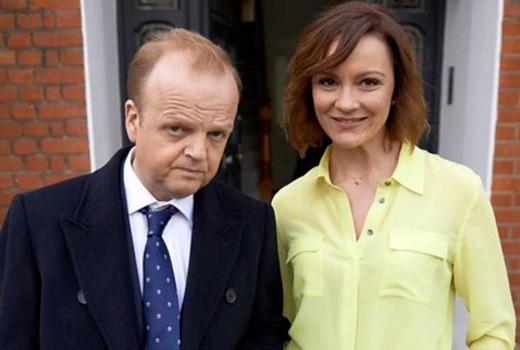 Adapted from John Lanchester’s novel of the same name, the three part series features Toby Jones, Gemma Jones, Rachel Stirling, Lesley Sharp, Adeel Akhtar, Robert Emms and Wunmi Mosaku. Capital is a three-part British television adaptation of John Lanchester’s novel Capital. The series was written by BAFTA award-winning writer Peter Bowker and presents a witty, colourful and sharply observed drama about the interconnected lives of a diverse group of neighbours on a fictional street. On one day, the people of one South London street all receive an anonymous postcard with the simple message ‘we want what you have’. Its unsettling ripples affect every corner of the community. Cleverly fusing a vivid and unforgettable ensemble cast of characters, the series bursts with piercing and funny observations of modern life and urban existence. Pepys Road was once the home of modest lower middle class families and has been continuously gentrified into a street of multi-million pound houses. As the mystery of the postcards deepens, interweaving stories reveal lives filled with love and loss, fear and greed, fortune and envy and, at its heart, family and home. Tuesdays at 8.30pm from March 15 on BBC First.